If you purchased our products from Amazon, you can request a return or replacement within 30 days after you have received them. Go to Your Orders page on Amazon and locate your Crafty Croc order. Then on the right, click on Return or replace items button. 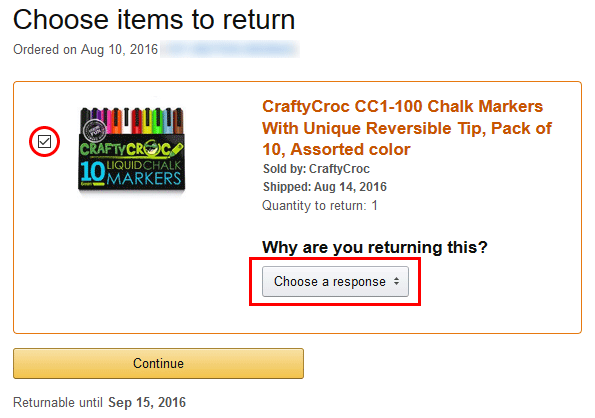 Check only the Crafty Croc product(s) you want to return. There might be some other items that were included when you placed your order, make sure to uncheck them now. On the dropdown menu, choose a reason why you want to return the product. You can also add comments if necessary. After selecting from the dropdown menu, click on Continue. From this page, right below the Continue button, you can check if your item is still qualified for a return. Choose how you want to receive your refund. You can either choose to get an Amazon gift card applied to your account or receive the refund to your original payment method. You can also check from here the estimated refund timing (how long it takes to receive your refund). After you choose, click on Continue. Now, select how do you want to send the product back. 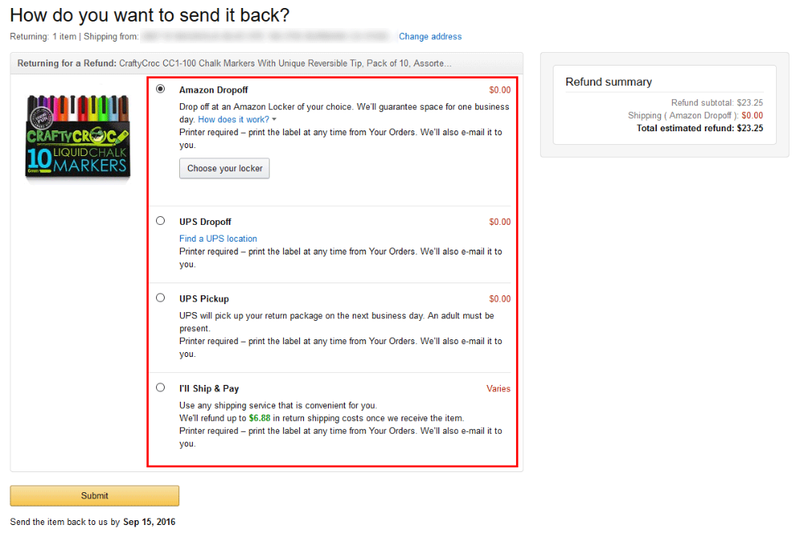 Amazon may impose a packaging fee or return shipping fee depending on the reason of your return. Your options are Amazon Dropoff, UPS Dropoff, UPS Pickup, or I'll Ship & Pay. Review the Refund Summary on the right to know how much you are going to receive. After reviewing, click on Submit. Your return request has now been authorized and you will receive an e-mail from Amazon about the details of your return, instructions how to send your package and the return label that you need to attach. For more information about Amazon refunds, please visit this page. For more information about Amazon exchanges and replacements, please visit this page.